Driving to this location is advised, due to its distance from Jail Hill and downtown Norwich. Image courtesy of Shiela Hayes. 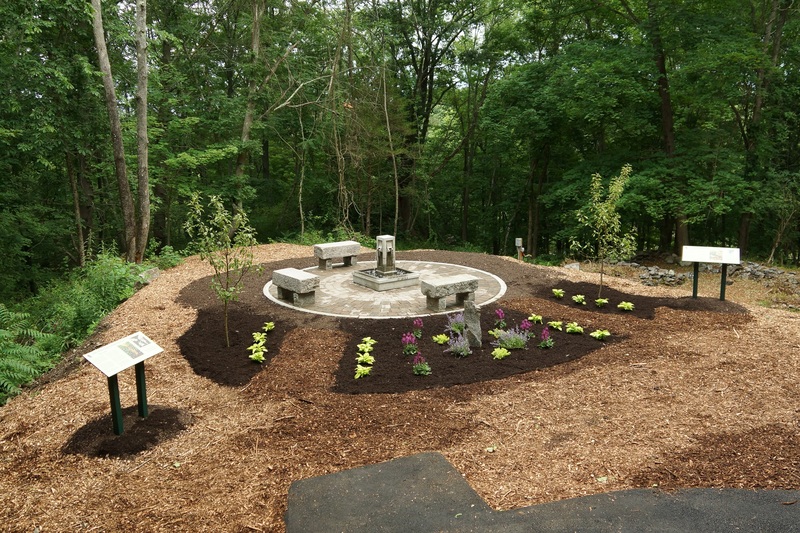 Located on the grounds of his former homestead, this park honors the legacy of Norwich native Ellis Walter Ruley (1882–1959), a self-taught African-American folk artist. Ruley’s paintings are evocative and often depict biblical or African folklore themes. In 1933 Ruley married Wilhelmina Fox, who was white. Along with extended family, the Ruleys lived in an old farmhouse, on this Hammond Avenue site. Sadly, Ruley died here under mysterious circumstances in 1959 and he is buried in Maplewood Cemetery in Norwich. Two years later, fire destroyed the homestead along with many of Ellis’s paintings. A Connecticut Superior Court decision in 1983 transferred the homestead’s access road to others. Following a foreclosure, the City of Norwich took possession of the property. Two original paintings of his work are housed in Norwich’s Slater Memorial Museum and many others are in private collections or museums across the country.